Grab the most expensive fabrics you can find because we are traveling the galaxy and talking mens fashion in the universe! Kris and Ian discuss some of the most fashionable men in the Galaxy from Bail Organa to Kylo Ren and yes even Jar-Jar Binks. They also discuss hot news topics such as new playable characters in BattlefrontII, the new Star Wars theme park coming to both Disney World and Disney Land Galaxies Edge, Star Wars Celebration news, and their upcoming panel at Planet Comicon! So strap in and lets talk fun fashion and some really cool Star Wars news! Hello all you fashionable force users! Welcome to Echo Station’s first mini series titled Padme’s Closet. In this mini series Ian and Kris are going to cover all of your favorite Queen/Senators outfits from the prequels. Each of Padme’s outfits is going to get its very own episode dedicated to it, starting with her red throne room gown in The Phantom Menace to her funeral attire in Revenge of the Sith. We are spanning three movies and well over 30 costumes. We will be dissecting each outfit from head to toe, talking about what we like and don’t like, and finally our first impressions of them. So grab your sewing machines because we are diving in deep with this first episode. This week, we bring on our friend and special guest, Lydia Heartwell to play a game of “What would you gijinka?” We discuss Pokemon, Care Bears, and even a certain Disney animal that she would be interested in doing gijinka cosplay for. What would you gijinka? Did Lydia hit any of the same characters you’re interested in? Let us know in the comments! We continue our most popular discussion with the most popular male cosplays. These male cosplays are seen at all of the conventions, events, and photo shoots. The most popular male cosplays span franchises, genres, and styles from the classic Spider-Man to more modern characters like The Walking Dead’s Negan. This week, we discuss the most popular male cosplays. Did we leave anyone out? Do you think there are more popular male cosplays? Let us know in the comments! A guest joins us for a trip to a galaxy far, far away as we take a look at the mother of Luke and Leia, Padme Amidala. Luna Flare from Another Castle Creations joins us in full Padme cosplay to discuss the best costume looks for the Natalie Portman character. We discuss Padme Amidala’s looks from The Phantom Menace, Attack of the Clones, and Revenge of the Sith. What is your favorite Padme Amidala look? Did we pick one of your favorites? Let us know in the comments! With Star Trek Lax Vegas 2018 in the books, it’s time to discuss some of the more personal experiences from STLV. Our host Derreck gets on the phone with three guests who attended this year’s STLV convention. They talk about their experiences including panels, guests, social functions, and initial reactions to the big Patrick Stewart Picard news! Hey, everyone! It’s Jon of the Gamer Heroes podcast! 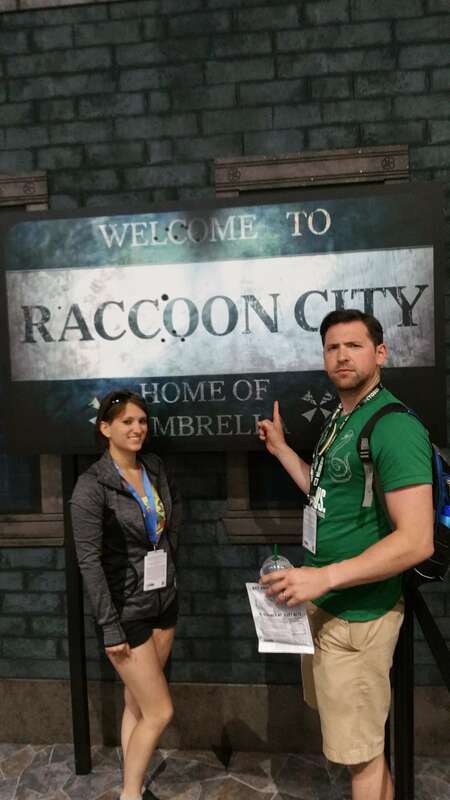 I just got back from an incredible weekend at San Diego Comic Con. One thing I wanted to share with you was my experience playing the brand new Resident Evil 2 remastered demo at the convention! I recorded a little clip with my initial thoughts and will probably talk more about it on next week’s episode of Gamer Heroes, so don’t miss that! 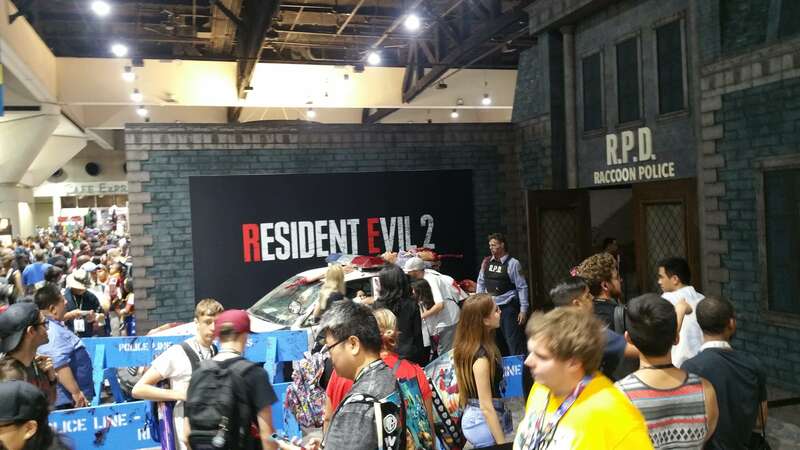 First up, I want to share my thoughts on the demo but make sure to check out below for some photos from the set they put together. 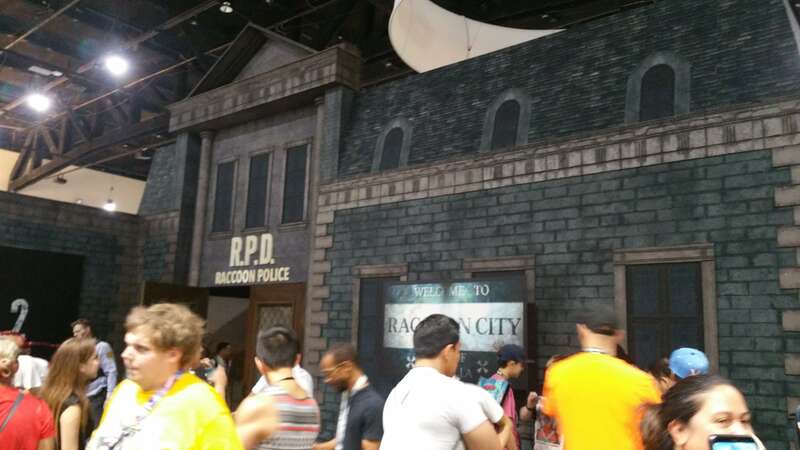 They basically built a little Raccoon City at SDCC, pretty crazy. Next up are the photos I talked about. I hope you enjoy them! Finally, check out my big cosplay! 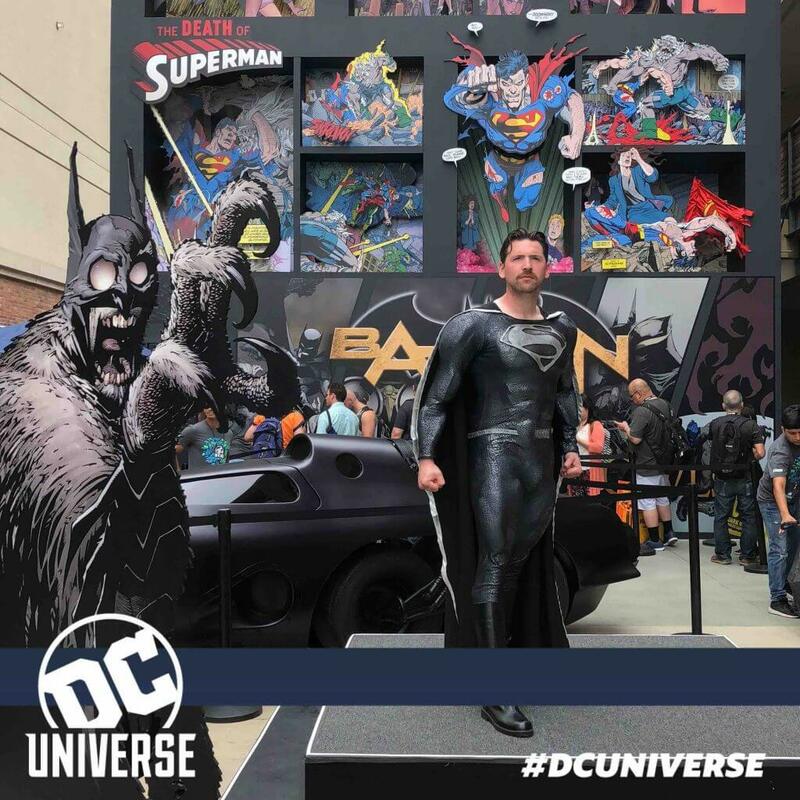 It’s black suit Superman! If you like the suit, please check out BusterProps.com for more of my work! 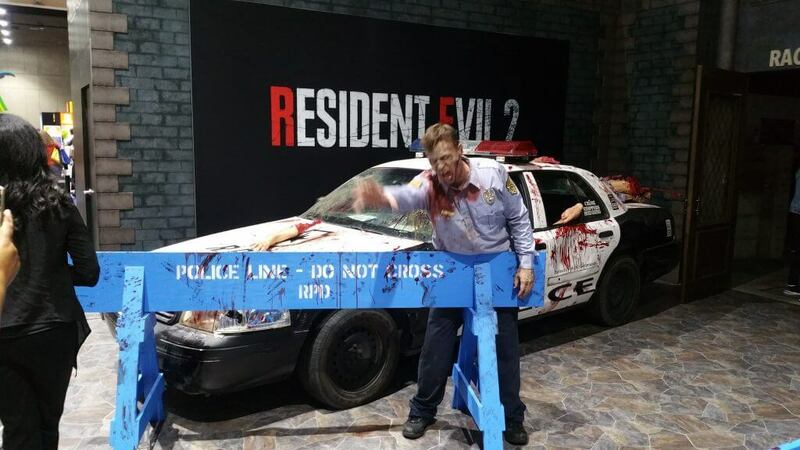 Alright, we’ll talk more about Resident Evil 2 on Gamer Heroes next week! See you then. SirynRae and Haus of Turner Cosplay head to a galaxy far, far away with their picks for the Top 10 Star Wars Side Character Looks! These looks include non-lead live action characters. This means the original trilogy, the prequels, Rogue One, and the new trilogy films. While some of these characters get expanded on in the cartoons, we’ll only be looking at their live action form this week. Costume Couture’s first episode of 2018 is a big one, with a live audience! Rae and Ian return with their LGBT+ & Cosplay panel, this time at Planet Comicon with three special guests, Ana Chronistic Cosplay, Luna Flare, and Regina La-Rae Cosplay. Rae moderates and helps talk through the panelists’ histories of LGBT+, coming out to friends and family, difficulties they’ve run into, and how they express themselves through cosplay and drag. What’s a Harley without her Joker? As chosen by you, The Joker was our next character to receive a spotlight. Donning the purple and green since the 1940’s, we chart his evolution from the joke of the Batman rogues to the king psychopath he is today. We run through our favorite comic book looks and which films we preferred him in. And just like last time, we talk about some of our favorite cosplayers like Harley’s Joker and Vendaros.